Sephora 20% OFF for VIB & VIB Rouge Starts Tomorrow! 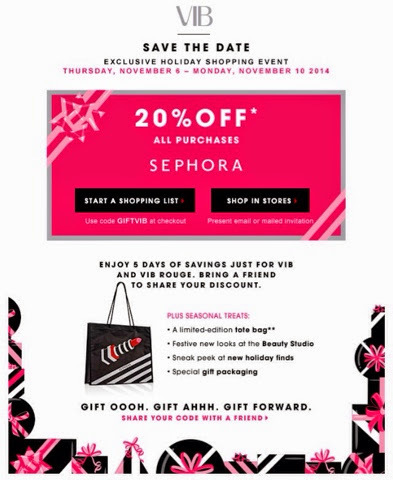 Sephora's Friends & Family 20% off event is now being extended to VIB and VIB Rouge members starting this Thursday! 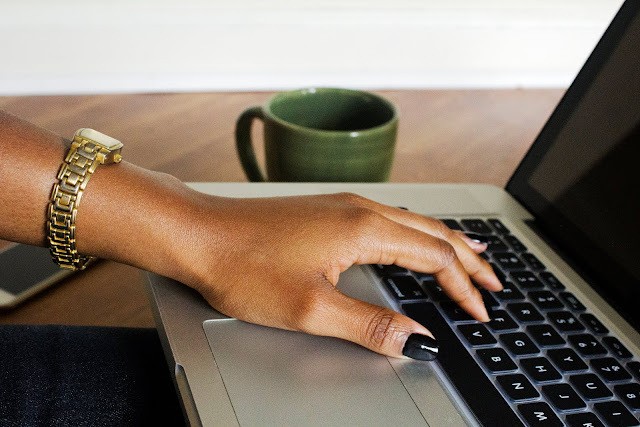 (Actually VIB Rouge members had access starting today) So get your online carts ready. VIB and VIB Rouge members will have 5 days of savings that they can even share with a friend*. To use in store you will need to p+resent your email or mailed invitation. If you're on Team Iphone, be sure to add your 20% off ticket to Passbook for easy access. Sephora is also giving away a limited edition tote for free in store and online while supplies last. Who's ready to do some major damage?! *to share your discount with a friend you will need the discount card sent by mail. It is one time use only online and in store, which requires your presence. P.S. : How cute is my signature this week?! It's from my personalized Sephora email.